Hose Assemblies – WRG stocks a large variety of hoses, crimp sleeves and couplings including parts for hydraulic lines. We cut our hoses to length and equip them with the specified fittings. Thanks to our Custom Crimp machine, we can crimp hoses up to 6 inches in diameter. We prefer the crimping method as it is time efficient and produces an all-around safer assembly than a banded hose. 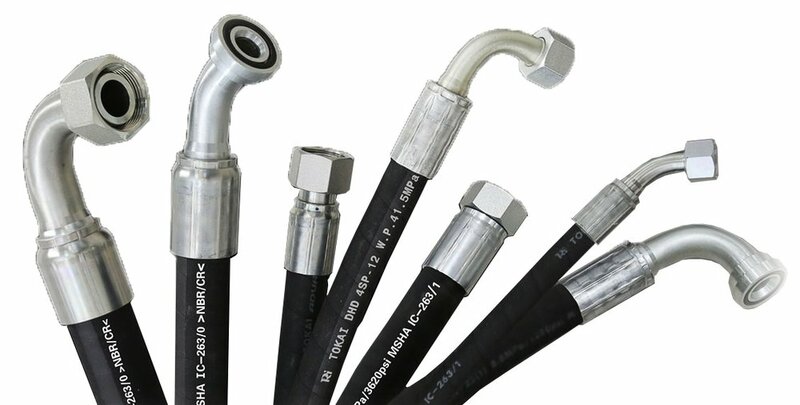 We can also supply a welded metal hose per your desired specifications. Hose Testing – WRG offers a hydrostatic testing service to ensure leakage does not occur at working pressure. We can test a new hose after it is assembled, or you can bring it to us after it has been in service. Our testing service covers USCG certification as well. Hose Repair – We understand that hoses can be costly to replace which is why we offer in-house repairs. If your hose has a leak, we will replace the bad portion with a mender or a new fitting. Our repair service is quick so that you can return your hose to service in an inexpensive and time-efficient manner. If you have any questions regarding our hose assembling, testing or repairing capabilities please CONNECT WITH US!